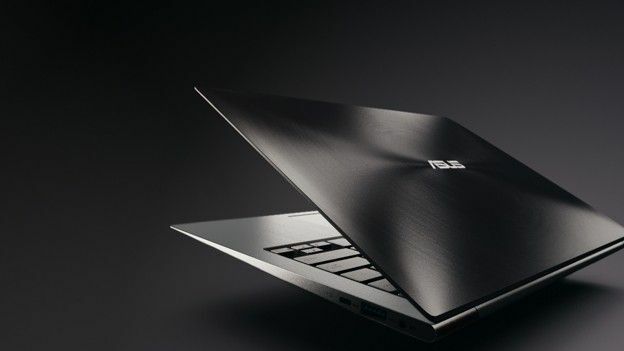 At just 3mm thick the Asus Zenbook is an absolute stunner with a brushed metal design and a form factor that rivals the slimmest of netbooks including the MacBook Air. We've got the full details in our Asus UX31 Zenbook review - if you're looking for a Mac Air-alike running Windows, this is what youve been waiting for. Using a Solid State Drive the netbook is able to achieve incredibly small dimensions, with 3mm thin at the front rising to just 9mm thin at the back. Two models will be available for release, a 11-inch and a 13-inch model with screen resolutions of 1366x768 and 1600X900 respectively. In terms of grunt you can expect to see both the Intel i5 and i7 processors with up to 256GB of SSD storage and the option of buying an external hard drive as well. You get Bluetooth 4.0 as standard and in terms of audio Bang & Olufsen have personally had a hand in making sure its small dimensions produce sound that defies expectations. Connectivity wise there's a micro-HDMI port which will let you output HD content, USB 3.0 port mini VGA, audio jack and an SD card reader on the larger model making it just as useable as any ultra-portable netbook out there today. It's a complete broadside and one that happens to look stunning and has the potential to be a serious contender in the netbook class, there's no word on a release date or pricing details but expect to see them in line with products of this type: Premium ultra-poratble netbooks. Coming out on October 21 the Zenbook is priced at £849 for the 11-inch model and £999 for the 13-inch.